The BSA Tactical Weapon™ series is specifically designed for tactical style rifles. The BSA T4X30 fixed power scope features a rugged one piece tube design,push/pull locking turrets and fast focus to meet all your shooting optics requirements. The BSA T4X30 includes mounting hardware compatible for AR’s, SKS and any rifle equipped with a weaver style rail. 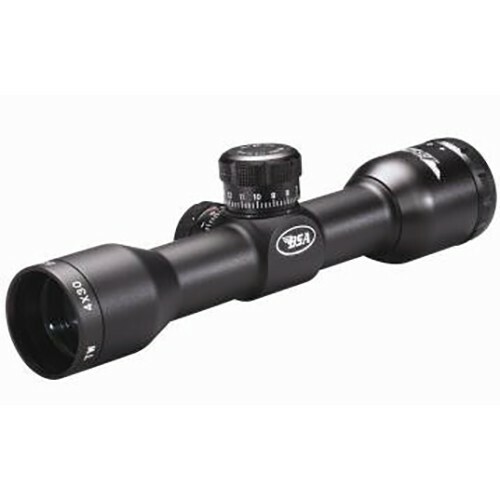 Recommended for semi-autos and rifles where you can use a compact designed scope. Compact scopes tend to be brighter and have less parallax error than longer scopes of equal quality.